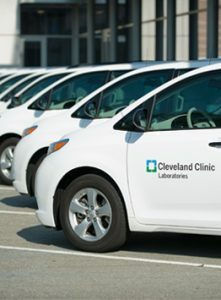 Cleveland Clinic is leading a pioneering effort for healthcare facilities around the country by determining and implementing best practices to promote a greener, cleaner environment. Our Greening the Labs initiative has developed several recommendations on how clients can keep sustainability in mind when shipping specimens to our laboratories for testing. If you plan on sending more than one specimen or Pathology Consultation Kit to our laboratories, try to ship everything in one package to minimize the transportation burden. A single package is more efficient to ship, unpack, and process, and you can also save on shipping costs. Clients can reuse materials such as bubble wrap, cardboard boxes, and other packaging when preparing specimens for shipment as long as the materials are still in good condition. To ensure proper delivery and processing, please remove any previous labels from reused packaging. To promote sustainability in our laboratories, we encourage clients to use clear transport bags for transporting paraffin blocks and glass slides. Since blocks and slides are not biohazardous materials, they do not need to be placed in biohazard transport bags. Biohazard transport bags can only be used once and must be discarded as regulated medical waste, thereby increasing our regulated medical waste volume. 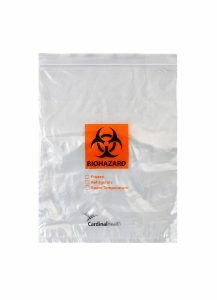 Please note: due to risk of prion disease, biohazard transport bags should be used for brain and spinal cord tissue. 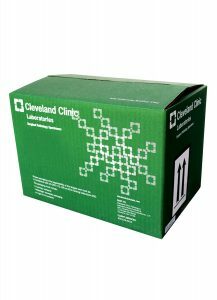 CCL’s Pathology Consultation Kits are an easy way to send pathology specimens to our laboratories. 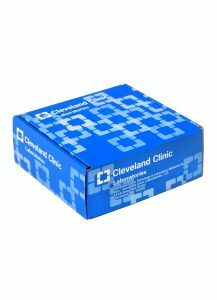 Each kit is designed with efficiency in mind: any supplies necessary to send samples to CCL are included in every box. For the sake of sustainability, we ask that clients using our Pathology Consultation Kits not add any additional packing materials. By using the exact amount of packaging provided, we can work together to reduce waste being sent to the landfill while ensuring the integrity of submitted specimens.